One of the first things a pilot learns is the parts of an airplane, from the fuselage to the radial airplane engines to the landing gear. 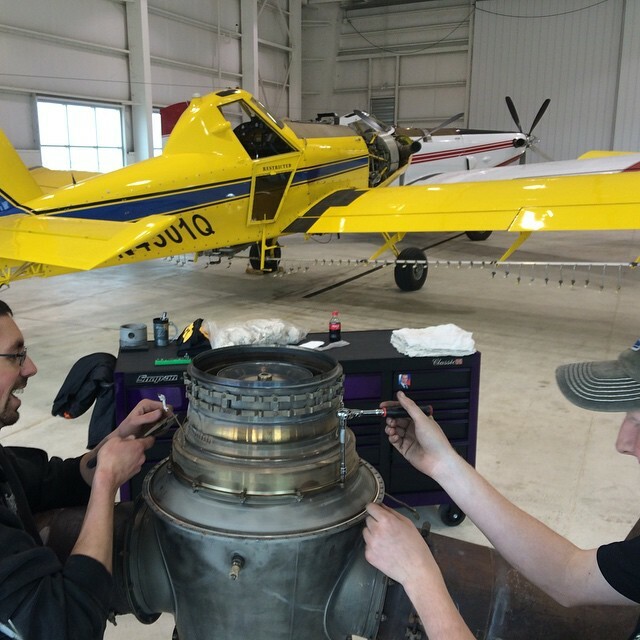 Knowing the parts of an airplane helps the pilot understand how the plane flies, assists with troubleshooting when there is a problem, and provides a clearer understanding of the scope of required maintenance on the plane. Although different types of planes have different parts, every airplane contains several main parts that are common. Like the radial airplane engine, the fuselage and cockpit are crucial parts of an airplane. The fuselage holds the plane together and is designed to accommodate passengers and cargo. The fuselage also houses the power and radio systems of the airplane. The cockpit houses the command and control systems of the airplane. These controls are used both on the ground and in the air. The radial airplane engine turns the propeller. The pilot uses a combination of diameter and pitch of the propeller, as well as the small airplane engine speed to either accelerate or maintain a constant speed. If there is too little thrust, the plane will slow down. Radial airplane engines are the power plant of the aircraft. The small airplane engines generate thrust and provide power—both hydraulic and electric—to the aircraft. The undercarriage contains the landing gear, which provides the “legs” of the aircraft when it is on the ground. Landing gear is used for during takeoff and landing. Air passes over and under the wings, generating most of the lift that keeps the plane airborne. In addition, the wing reduces drag at the front of the wing, generates lift at the curved part of the wing, and manages airflow with the rear edge. Inside the wing are slats, flaps and ailerons used as the plane is flying. Slats, located at the front of the wing, adjust the angle of attack, increasing lift . Flaps are normally located on the trailing edge of the wing and are used to increase lift at lower speeds, which is particularly important while landing. Ailerons are hinged sections at the rear of each ring and work asymmetrically. When the left one goes up, the right one goes down, making the aircraft roll right or left. Ailerons are used to move an aircraft left or right, and allow a pilot to control or change the roll of the plane. The tail of an aircraft includes horizontal and vertical stabilizers, elevators, and a rudder. The horizontal stabilizer maintains stability in flight, acting as a mini-wing at the rear of the airplane. The vertical stabilizer controls the lateral movement of the plane. Without lateral control, the plane would slip, increase drag and become uncontrollable. The elevators are hinged surfaces fitted to the rear of the horizontal stabilizer and work as a pair. When the elevators are up, the aircraft ascends; when the elevators are down, the aircraft descends. The rudder of a radial engine airplane works much like the rudder of a boat. When the plane is on the ground, pilots use the rudder to turn the plane in the direction the rudder is turned. In the air, the rudder coordinates turns that are made by the ailerons. Visit us at www.covingtonaircraft.com for more information about turbine and radial airplane engine overhauls, maintenance and repair. You can also find us on Facebook and LinkedIn. Wow, you are kind of dense Nick. The fuel is in the same place it has always been, in the wings and the wing center fuselage. It’s a good thing we dumped you from the maintainers page.